The third instalment of Nigel Slater's classic Kitchen Diaries series, A Year of Good Eating explores the balance and pleasure in eating well throughout the year. The leisurely recipes and kitchen stories of the Diaries are ingeniously interspersed with seasonal sections of quick, weeknight suppers in the style of Nigel's most recent bestseller Eat. A salmon pie with herb butter sauce or an asparagus and blue cheese tart for when you have time to cook; roasted summer vegetables with sausages or quick baked eggs and greens for when you need to get dinner on the table fast. With Nigel's characteristically simple recipes and inspiring writing, this new book will make good eating a joy, every day of the year. 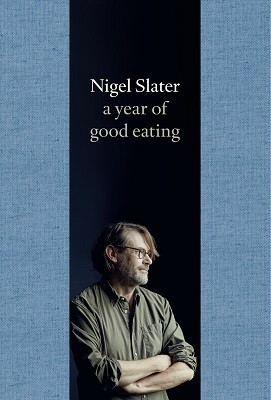 Famously describing himself as ‘a cook who writes’, Nigel Slater is one of Britain’s best-loved food writers and presenters. A columnist for the Observer for 26 years, his bestselling books include Real Fast Food, The 30-Minute Cook, Tender, Volume One, The Christmas Chronicles and the widely acclaimed, award-winning biography, Toast. Nigel Slater has such a way with words, easily weaving you into the fabric of his year of good eating without making you feel that you are an outsider, or an onlooker.